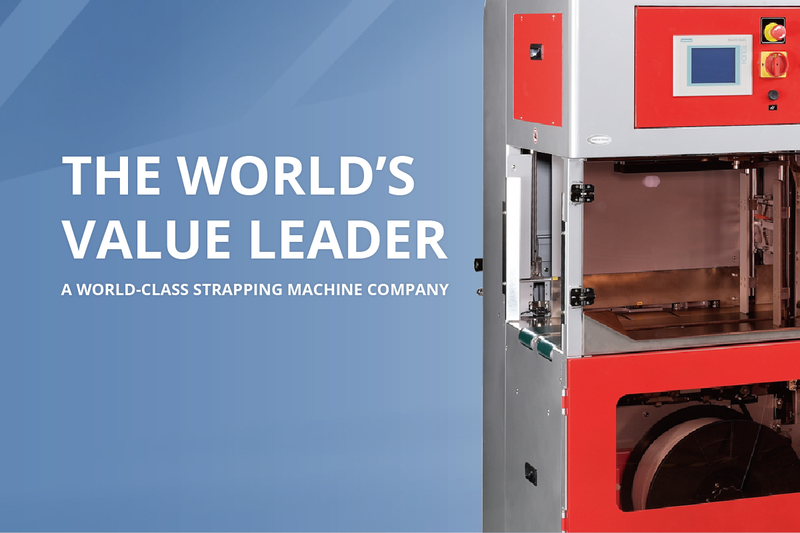 A brand-new strapping machine designed specially for shingled-stream specialty folder gluer boxes or cartons, the TP-702CTRS is available now. Minimizing the labor involvement, the TP-702CTRS requires only one operator to collect the boxes into stacks, and the boxes will come out in good condition with great alignment, which makes it possible to coordinate with the downstream palletizer or case packer to complete the end-of-line process automatically. The TP-702CTRS integrates 2 systems into one, the side-seal strapping unit and the conveying unit. The side-seal strapping design with side pushers and top press makes the stack come out of the strapper in great stack condition with great alignment at lowest cost. The backstop ascends inclinedly. It prevents damage to stacks, and also ensure the stack integrity and precise strapping position. The press bar home position can be set according to requirement, which helps to speed up the process. The positioning of the backstop and side pusher, and all other settings can be easily done through Siemens touch panel near operator position. It’s much quicker and easier to changeover. Inherits the merits of the reputable TP-702 Mercury strapping head, TP-702CTRS carries all the innovative features and reliability, and produce high production speed. Uses the latest DC brushless motor direct drive technology, it provides the highest level of accuracy and reliability. Its free access to strap guide (patent registered) makes the maintenance and service quicker and easier without using any tools. Meanwhile, the strapping unit can be easily pulled out for quick maintenance and service. The TP-702CTRS is user-friendly yet maintenance friendly designed. The TP-702CTRS has 3 track widths available, which are W1000mm, W1300mm, and W1600mm, to work with various box sizes and types. And it can strap bundles as small as 130mm(L) x 130mm(W) x 100mm(H). Several different options are available to make this machine better fit in the line for various application. It’s the best and the most cost-effective strapping solution for specialty boxes, including crash lock boxes, four corner tray boxes, and other folded type boxes. For more information, please check on TP-702CTRS.